Virgen and extra virgen olive oil: olive oil that is obtained from the olive through physical means, without coming into contact with organic solvents. The temperatures during its extraction are less than or equal to 35 degrees Celsius. (Extra) virgen olive oil is the premium quality olive oil. "Regular" olive oil: a mixture of refined olive oil and (extra) virgen olive oil. 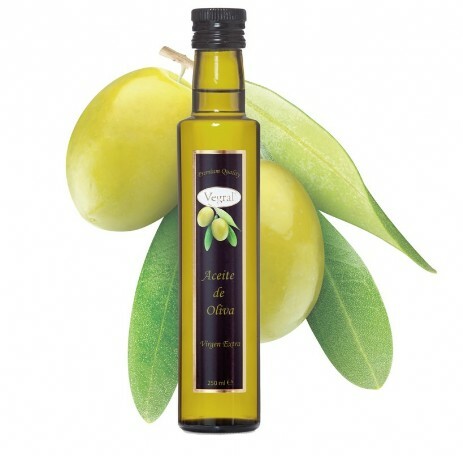 Pomace olive oil: a mixture of refined olive pomace oil and (extra) virgen olive oil. Vegral ® is a brand of Worldwide food export. Vegral ® is a registered trademark.